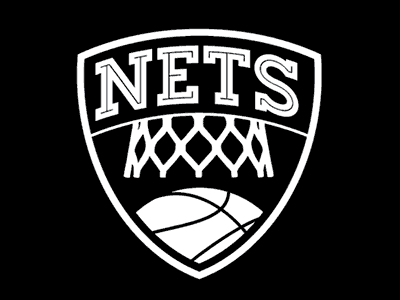 When the New Jersey Nets moved to Brooklyn, there was giant uproar in the design community about their new branding. Most of the fans loved it but designers were ultra critical of what was released. Type nerds lashed out on the positioning of the 'S' in the emblem while others questioned the asymmetry of the B within the ball. Tons of designers showcased what they would have done on sites like Dribbble. However, one design that stood out the most was created by one of my favorite designer and illustrator, Jon Contino. He describes what he did in this article and it makes you realize that the new logo is great, but could've even been better. Make no mistake. The Nets did something correct. The decision to go black and white was a bold move and made them stand out against a sea full of over-designed NBA logos. Their marketing has been pretty spot on as well. But then again, marketing for the Brooklyn Nets is pretty much a layup. If you throw a sport team in a place with tons of affluent culture, you're going to get a positive result. Do you know many rap songs reference Brookyln? Throw some rap lyrics on a t-shirt with the words Brooklyn in it and you're going to sell a million of them. Do you know how many hipsters live in Brooklyn? I can guarantee that most Brooklyners cared less about the Nets until they moved. Now, everyone is rocking something with Brooklyn Nets on it. Even if Jay-Z is only .0001% owner, he's a hometown native that's been a perfect face for the organization. in fact, I see his role being more as a mascot and I mean that in the most positive way. I don't want my team to have a fury mascot running around shooting t-shirts from a cannon. I want my team's mascot to sit court side with his gorgeous wife and occasionally throw a concert in the arena. Brooklyn has become one of the best places to live. It's right outside Manhattan, has a ton of culture and now has a sports team to call their own. The Brooklyn Nets design has been out for over a year and it's lived up to it's hype. It has aligned itself with a city that loves it's sport and cares about style. Top it off with a team headed to the Playoffs and I consider it to be a successful franchise.